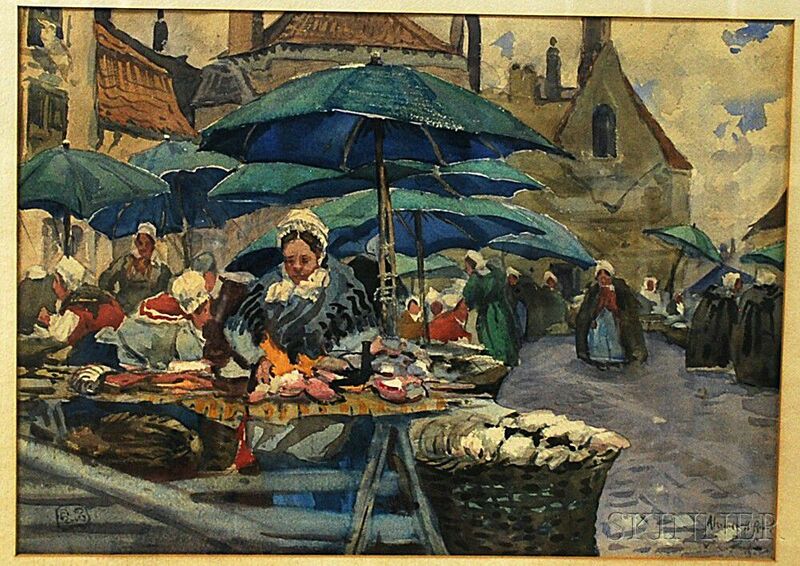 Continental School, 19th Century Rainy Outdoor Market, Likely the North Coast of France. 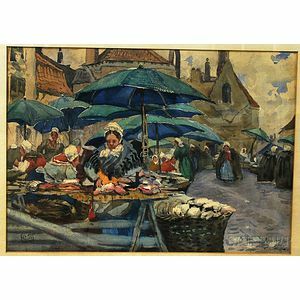 Rainy Outdoor Market, Likely the North Coast of France. 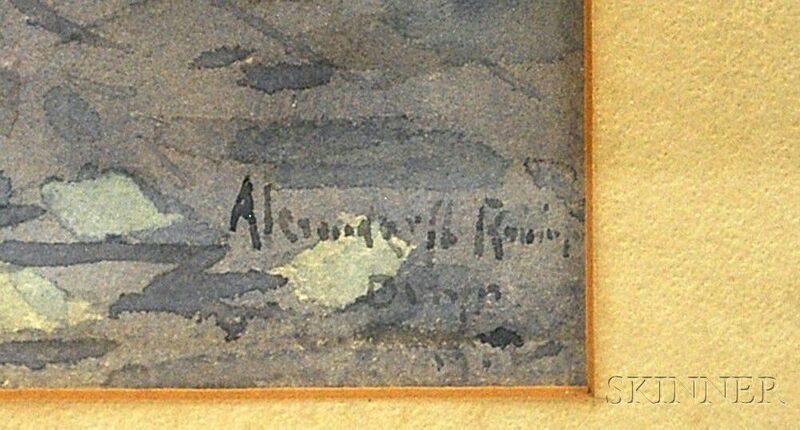 Signed and inscribed indistinctly "Alexander.../Di..." l.r., monogrammed l.l. Watercolor on paper, sight size 13 1/2 x 18 3/4 in., framed. Condition: Not examined out of frame.